Looking for a great disco and karaoke? Then go no further Genetic Disco and Karaoke are the ones to book. ‘We cover the whole of the North East right up to the Scottish Borders, Yorkshire, the North West, Nottinghamshire, Leicestershire and Lincolnshire. We will do other areas so please contact us to discuss your requirements. We pride ourselves in providing a punctual and professional service to the highest standards with the most modern technology. Very importantly we offer very competitive rates’. Genetix has the very latest in LED lighting together with an excellent sound system. You can provide a playlist of songs for your special occassion which Genetix will be happy to play. 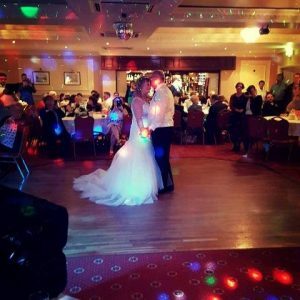 they are more than happy to play requests on the night from you and your guests whether it is older classics or the very latest in chart music. Genetix also offers a great Karaoke experience which you can combine with your disco or just hold a Karaoke event itself. Genetix Disco has full Public Liability Insurance and all equipment is PAT tested. Why not check out their website and their Facebook page.